Now that I have some MFT goodies, and I'm all signed up for newsletters and challenges and promotions, etc. I wanted to play along with the current color challenge! 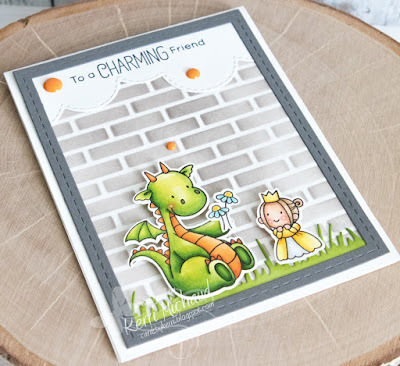 I used the ADORABLE BB Magical Dragons Stamp Set, along with the Small Brick Wall Stencil to create my card. I colored the images with Copic Markers and cut them out with my ScanNCut 2. 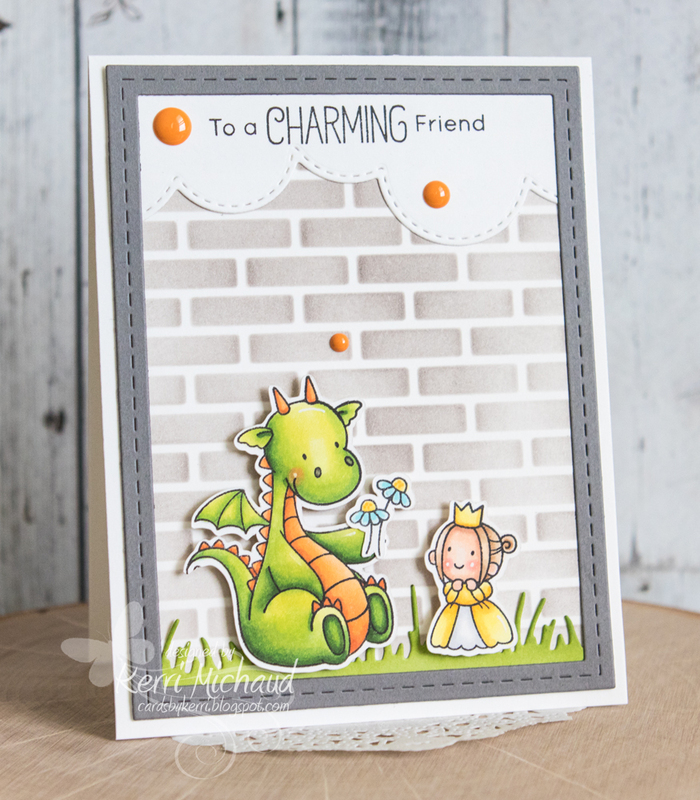 I added the grass using the TE Wispy Grass Border Die and the clouds using a TE Build a Scene Rolling Clouds Die. 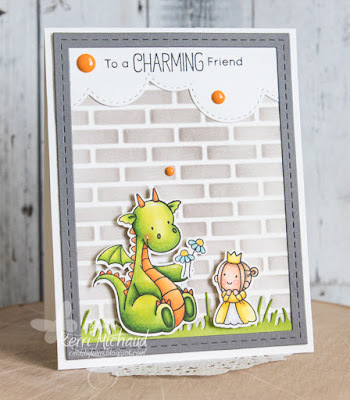 Finally I added a few Doodlebug Tangerine Sprinkles. So super CUTE!! !